I can't believe we are already into May and Mother's Day is next week. Unfortunatley I won't be able to spend the day with either my mother or my daughter but I will get to go home for Memorial Day. Woohoo!!!!!!!!! 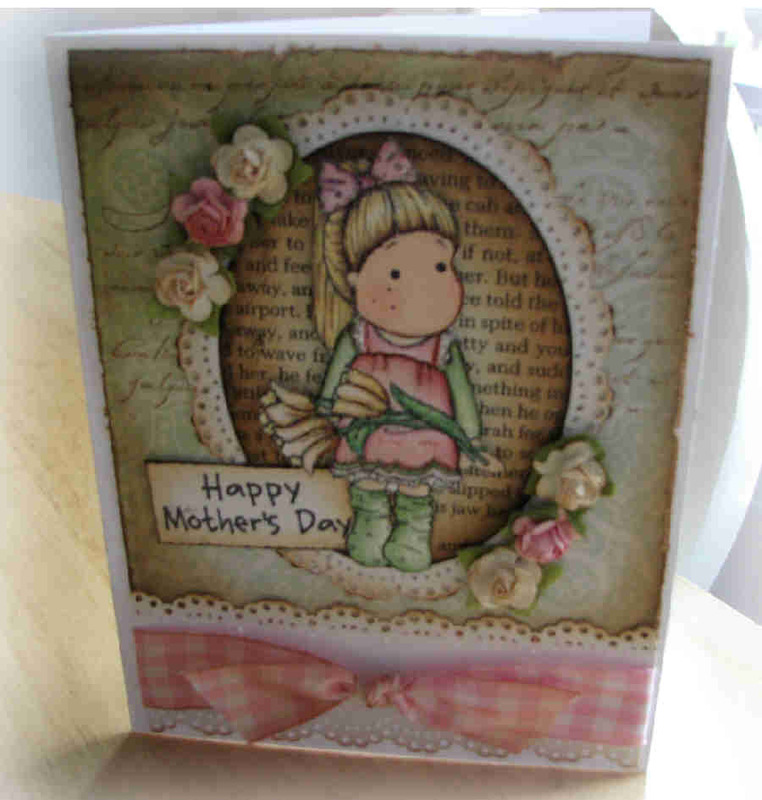 Here is a card that I did for my mom using the adorable Tulip Tilda. Love love love her. Great card. Love the dp's. Pretty colors. Love the total vintage feel to this gorgeous card!! The text paper behind Tilda works so well. Love it! she'll love it! she's adorable! Beautiful card! 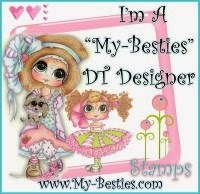 Love your layout...your Mom will love this! What a beautiful vintage feel you created on this card. Love the opening in the front of the card and your Tilda is beautifully colored. I think you mom will be well pleased! 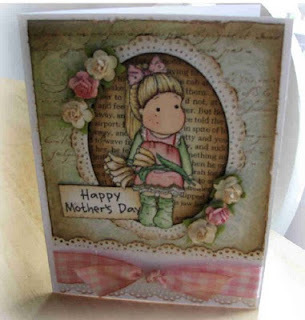 Beautiful Mom Card! I love the vintage feel! So pretty! Beautiful card ! Love the vintage touch you have given it ! Love the colors and vintage style! Terrific work and just beautiful!!! Great card!! Love the colors & your coloring! wow....this is really beautiful...I really love all the details and you do such a lovely job coloring tilda. TFS!